This episode, Jason and Michael talk with Gwendolyn Kiste and delve into her work. They discuss The Rust Maidens along with the stories in And Her Smile Will Untether The Universe. They also discuss her independent filmmaking career, writing about relationships, and how to nail down enough ambiguity without losing the reader. Then Jason and Michael discuss the 2017 French movie, Raw. Thanks for listening, everyone! If you enjoyed the episode, please consider leaving a review on iTunes or Stitcher. 1. I was reading an interview with you in Black Static where you discussed your childhood. You mentioned locking yourself away and reading books on weekends and over the summer break. I can certainly relate! 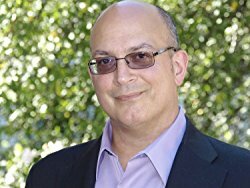 What were those books you read back then, and which ones made you want to become a writer? 2. You also mentioned that you were an independent filmmaker earlier on? What movies? 3. Is this a career path you’re still pursuing at all? 4. Are there any movies you’d say influenced your writing? 5. You write beautifully about friendships in your fiction, so I’m guessing that you must have had some close friends growing up? 6. A lot of your stories have a strong sense of loss and longing. Without my being too nosy, I was wondering why these themes attract you? 7. Your Fiction is a little difficult to classify. I hesitate at calling it weird fiction because there’s certainly horror in there. If you were to classify your fiction, what would it be? 8. Were you surprised when the HWA nominated your collection, AND HER SMILE WILL UNTETHER THE UNIVERSE, for a Stoker? 9. The Clawfoot Requiem, which is in Untether the Universe, has one of the strongest openings I’ve ever read. How did you come to write that one? 10. The Man in the Ambry reminded me of older, classical ghost stories, though we never really know what exactly is going on. That kind of ambiguity gets me excited. It’s immersive for the reader, involving them. Some readers want things explained for them, though. Considering a lot of the fiction of yours I’ve read hold that mystery or ambiguity, I was wondering if you get any negative feedback for it? 11. Ambiguity is tough to get right. I think that you handle it perfectly because it feels like the answers are all there, and the more you think about it, the more unsettling it feels. When writing, how do you figure out what information to let the reader in on and what to let them try and figure out for themselves to achieve this? 12. How many drafts do you typically go through before you feel a story is complete? 13. All the stories in Untether the Universe that I’ve read (I’m only at the halfway mark at this time) have a very original feel to them. How do you keep each story fresh? 14. Although you grew up in a small town in Ohio, your debut novel, The Rust Maidens, is about a young woman who grew up in the decaying industrial part of Cleveland. Part of the rust belt. Was Cleveland close to where you grew up? And are there any similarities between your own childhood and that of Phoebe Shaw’s? 15. There’s so much truth-telling in Rust Maidens. So much symbolism. I truly think that it would do well being taught in high schools not just because of the symbolism, but also the historical aspects of unions and industrial battles we saw taking place in the late 1970s and early 1980s. What was the research like? 16. Did you set out to write a book with these deep, sociological themes? 17. There’s also some really good scary scenes. Like where our hero is stuck in a mansion. Very creepy! How do you approach creating scenes that scare the reader? 18. I mentioned Black Static earlier. With them, you published the short story Songs To Help You Cope When Your Mom Won't Stop Haunting You And Your Friends, which is related to Rust Maidens. Which story came first? 19. I love the song choices you list in that story. Do you listen to music while writing? 20. You’ve also have a novella you released with Broken Eye Books in 2017. It’s called Pretty Marys All in a Row. I have not read this one yet but plan to ASAP. Can you tell us what it’s about? 21. February is, as you know, women in horror month. You’ve been writing a series about women horror writers on your blog, called Fear and the Feminine, where you interviewed women horror writers. Can you tell us more about this project? 22. I think that horror and science fiction is where women writers are most often forgotten or dismissed as serious writers. Why is it this way in your opinion? 23. What do you think we can do to help educate readers that there are women who not only write horror, but write it well? 24. What advice would you give young women writers just starting out? 25. Where can readers find you online? Justine is a first-year veterinary student. Her elder sister is studying the same course at the university. Justine was raised a strict vegetarian but, as part of the hazing rituals, is forced to eat meat. Initially this has adverse effects but she soon develops a craving for meat...particularly human flesh. This episode Jason and Michael have a chat with Doungjai Gam, discussing her collection of short fiction and poetry, Glass Slipper Dreams, Shattered. They also discuss how to write flash fiction, how to make shorter pieces of fiction and poetry have more of an emotional effect, going to conventions, Necon, discrimination and sexism within the community, and so much more. Jason and Michael then discuss the new Suspiria movie and compare it to the original. Did they like it? Did they hate it? Listen in and out! Warning, there are some spoilers in the discussion. Times are below. Music Heard: Night Child by Electric Wizard. Welcome to the show! On this episode, we welcome legendary short story writer and novelist Steve Rasnic Tem to discuss his latest collection, out now by Omnium Gatherum. The collection is called Everything Is Fine Now, and you can purchase it with this link, or the link below. Jason and Michael discuss the stories within with Steve, how darker fiction often turns away horror fans, what makes horror fans, existential dread in dark fiction, love and loss, along with some great writing tips. Then Michael and Jason discuss the 2018 reboot of the Halloween franchise staring Jamie Lee Curtis. Does it live up to Michael and Jason’s expectations? Find out! Thanks to Steve Rasnic Tem for the wonderful conversation and thanks to you for listening in. Michael H. Hanson drops by to help Darkness Dwells' Month of C.H.U.D. where we discuss creating shared worlds, Sha' Daa and what's next in the series, writing horror poetry, and the C.H.U.D. Lives Tribute anthology. Then Jason and Michael discuss the latest in the James Wan universe, Insidious: The FInal Key. 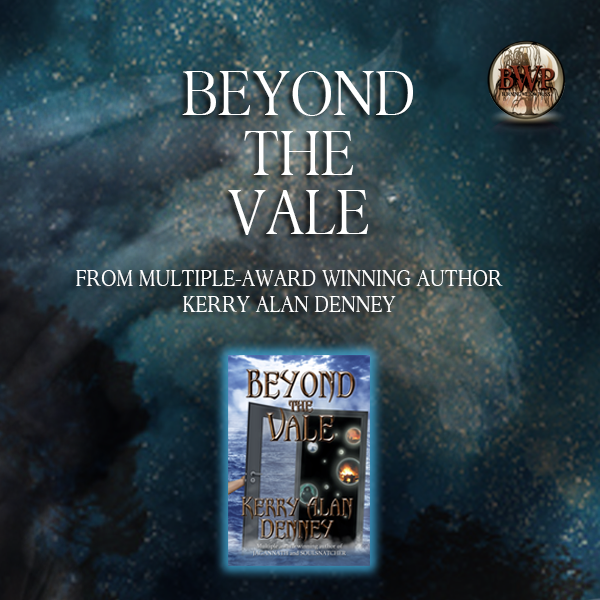 Kerry Alan Denney returns to discuss his new novel, Beyond the Vale. They also discuss how to avoid author intrusion, drafting your novel, marketing tips, and life after death. Then Jason and Michael discuss the 2017 Mickey Keating film Psychopaths. Drowning by Monster Magnet. Buy their new album here! Horror writing legend Tamara Thorne talks with Jason and Michael where they discuss her books and her collaboration with Alastair Cross. They also discuss Ray Bradbury, swap ghost stories and discuss her own podcast she hosts with Alastair Cross, Thorne & Cross: Haunted Nights LIVE! Then Jason and Michael discuss the 2015 movie The Invitation. Edd Sowder, Shannon Perrine, Kerry Alan Denney, and L. Bachman join us this episode to discuss the anthology series, Crossroads, and more specifically the third installment, Monsters Under Your Bed, by Burning Willow Press. Jason and Michael then kick off their shoes, discuss the irrational fear of sharks bitting one's feet while sleeping in bed, and Stranger Things 2. Mercedes M. Yardley stopped by to chat it up with Jason. They talk about the writing life, her works, sad and evil robots, and evil Skype interrupting their conversation while said sad/evil robots have their way with poor Jason. Jason and Michael discuss some horror news, including John Carpenter's return to the new Halloween franchise, the Puppet Master franchise, Day of the Dead vs Dawn of the Dead, George Romero's Star, Karen Black, and Vincent D'Onofrio. Jason and Michael get their necrophilia on as they discuss the 1987 film Nekromantik. It's a truly disgusting conversation and you're not going to want to miss out! Solarian 13 and We Love the Dead, both songs by Electric Wizard. Welcome to The Darkness Dwells Podcast episode 20. This week, Jason travels back in time to discuss the 2014 film Exists with Michael. There are also the horror movie news and horror literature new releases of which are not from the past. 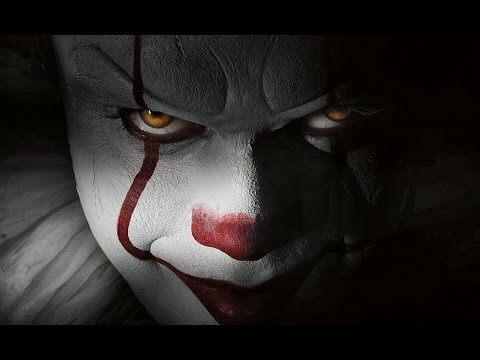 Plus there is some awesome news about Stephen King. Thank you for listening! See you next week!